While I'd hoped to get the Bread Board rolling with a return to home sourdough, a week of 40°C-plus temperatures does not a happy budding starter make. So as my little bubbly mess was left to settle down into a mellower lifestyle without so much funk, it was instead the classic white sandwich loaf that took the lead on new-oven-testing duties. Simple and soft with little in the way of crust the classic white is, to my tastes, a rather uninteresting loaf. But there are various situations where that is entirely the point. While it doesn't have much flavour in itself, the sandwich loaf is where you turn for the perfect bacon sandwich, and toasts beautifully when one's in need of crispness to be slathered in sweet, sticky jam or a nice, bitey marmalade. It is a boon for satisfying fussy little eaters, and there is simply no better restorative for those rendered queasy by an unwelcome malaise than some dry white toast with lashings of butter and Vegemite. My version strays somewhat from the standard white loaf. It's a little bit wholemeal, with a dash of yoghurt to soften the crumb. I've upped the hydration to help cope with the whole grains (although would go higher again), and, since I'm thoroughly engrossed in the latest gospel of Robertson, tossed in a handful of wheat germ for a bit of added virtue. Combine flour, wheat germ, yeast and salt in a large bowl. Pour over liquid and stir into a sticky mass. Cover and leave for 10 minutes. 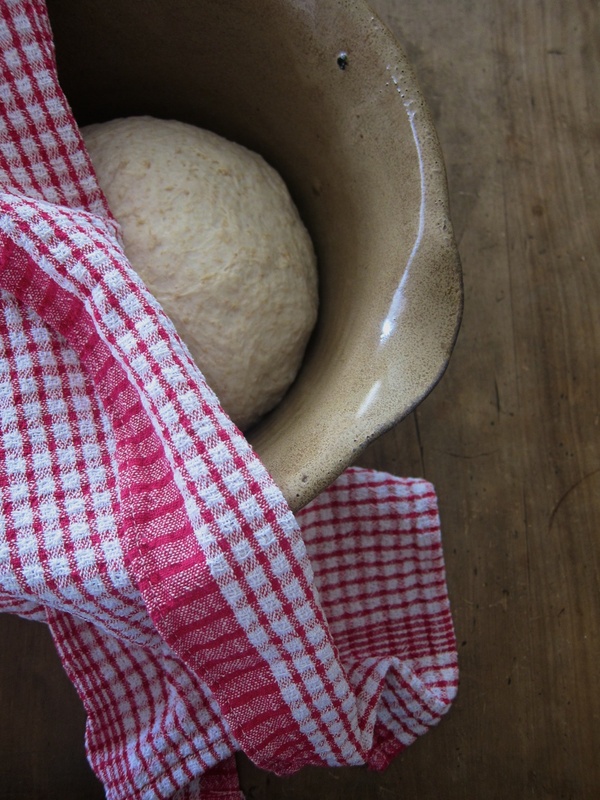 Knead the dough for 10 seconds on a lightly-oiled worktop. Return to the bowl and leave covered for 10 minutes. Repeat the 10 second foldings twice more, at 10 minute intervals, then leave to prove at room temperature for 45 minutes. Tip the dough onto a cleaned, lightly-floured worktop and press into a rough oblong with your fingers. Divide into two and shape into loaves. Place, seam-side down, in tins or on a floured tray. Cover with cloth and leave for 45 minutes until expanded by half. Flour the top of each loaf and slash, if desired. Bake at 250°C (or as hot as your oven gets) for 10 minutes, then reduce to 200°C and bake for a further 30-40 minutes. Use a roasting tray with boiled water from the kettle to create steam. If the crust is browning too quickly, lower the oven temperature by a further 10-30°C. 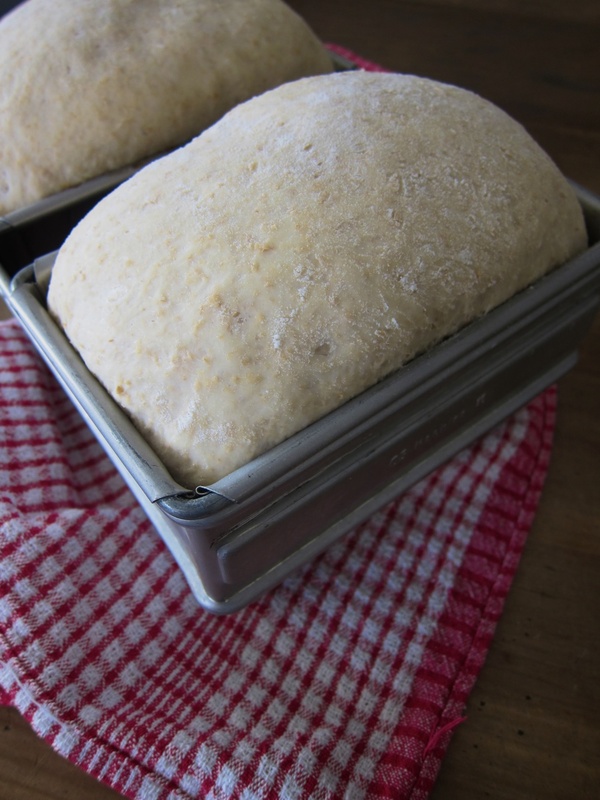 Bake until well browned and crusty; the loaves should sound hollow when tapped on the base. Remove from tins and leave on a wire rack to cool. Bread for tearing can be served warm. Bread for slicing must be left to cool completely.